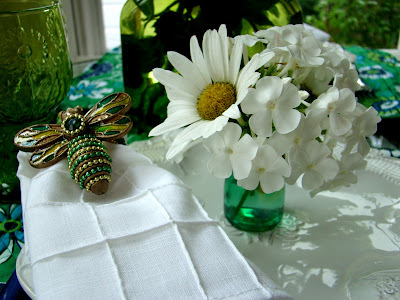 The beautiful white napkins, dragonfly napkin rings and place mats were a recent birthday gift from my children. 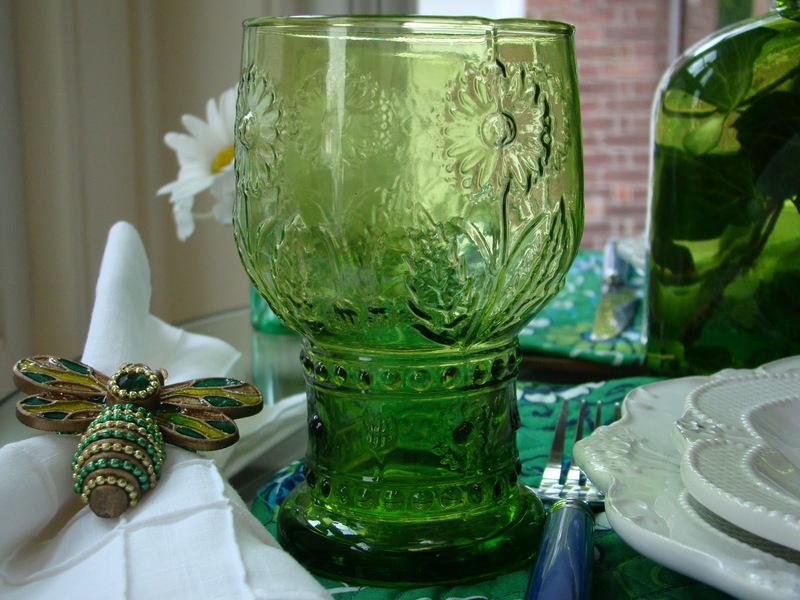 There are several shades of green on the place mat, one of which is the same color green as the vintage looking tumblers. Pier One sent me a $15 certificate in the mail for my birthday, and I had a $5 rewards certificate as well. So, I'm saying the four green Vintage Flower Tumblers were my birthday gift from Pier One ;o) My total order came to 44 cents. Thank you for stopping by! 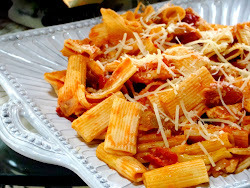 I'm joining Let's Dish with Cuisine Kathleen and Seasonal Sundays with the Tablescaper. Hope you had a wonderful birthday! 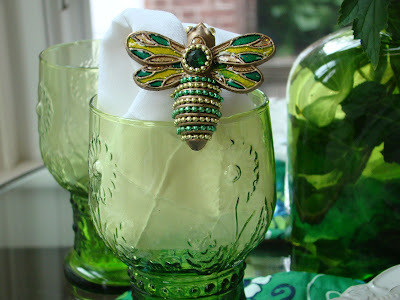 What a nice gift from Pier One, the glasses are so pretty! Happy Birthday, Debbie! This is a lovely setting! It's so nice that you were able to treat yourself to something so pretty! Enjoy! I bought those same napkin rings but haven't used them just yet. I love the way you have them here! They're perfect against that stark white napkin!!! Your flowers look beautiful!!!!!!!! Debbie, happy birthday! 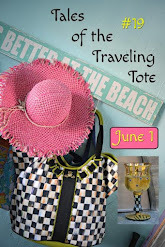 Your kids are great at selecting beautiful gifts. The tabletop items are wonderful. The dragonfly napkin rings look like a piece of jewelry. Nice gift from Pier I too! Those glasses look like the ones I got from Anthropologie for .99. Beautiful gifts! Such a pretty setting! What a beautiful birthday gift! Love those napkin rings!! Happy birthday Debbie. Love the table and especially the base of the table. Well that was a great birthday gift! Love the greens! Debbie~ Love your mix of greens at your table! I have those same glasses but spent more than 44 cents :) Happy Birthday! 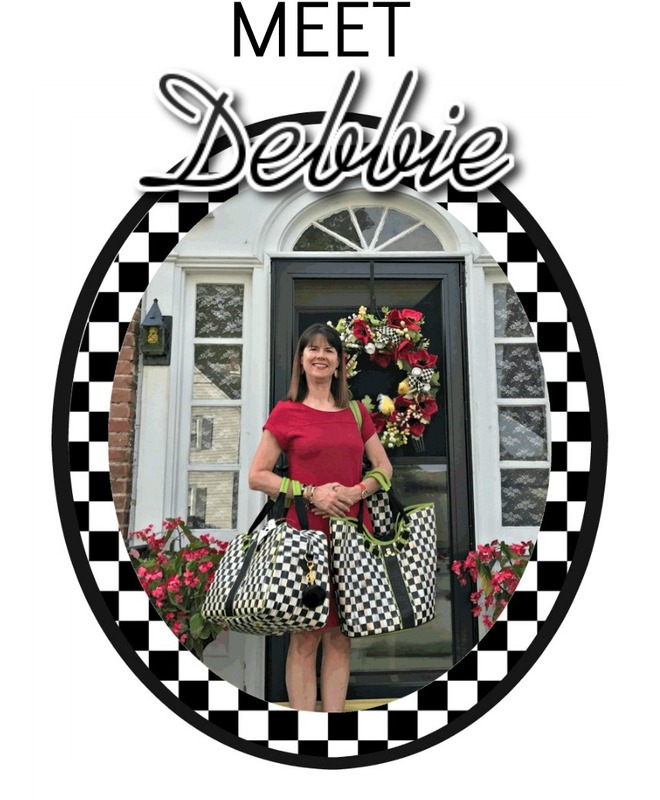 What wonderful birthday gifts from your children, Debbie! I love that Pier 1treated you so well, too. I'm visiting you from the mountains in NC, on our last day. What a sweet table! The colors are so pretty and fun! Visiting from Let's Dish! Beautiful! Love your white table settings and the dragon flies! 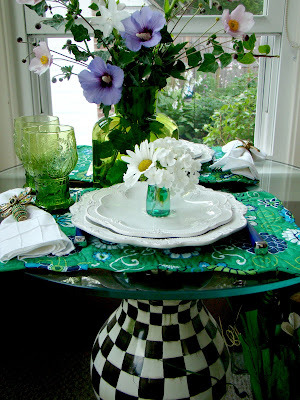 What a beautiful table and I love the green Pier One glasses. One Bitcoin A Day Venezuelans can be in a position to shop for rest room paper from foreign sources while not having to use a currency that is being grossly debased. Venezuelans can also have the opportunity to have interaction in entrepreneurship whereas still in Venezuela to fund their endeavors and potential defection to different countries like Colombia. Over 26percent of Venezuelans use the web a day. Venezuela has not filtered the internet simply nevertheless and purchasing Bitcoin is far a lot of secure than holding onto Bolivar.